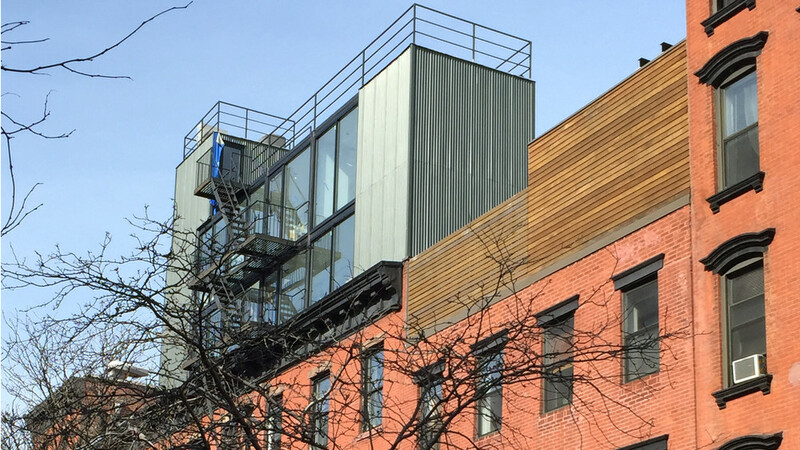 New two stories residential addition was designed and built on top of existing 4 stories brick building located at 80 East 2nd Street in Manhattan. Following project approval by NYC Department of Buildings building became part of East Village / Lower East Side Historical District. Corrugated zinc panels large window surfaces give a appearance of container type structure.